Breannah R. Alexander is the Founder and Managing Director of women reVamped. In March 2013, she established the organization in response to a growing need for female centered initiatives and a personal passion for ensuring the empowerment of young girls. 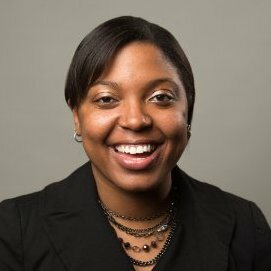 Breannah’s previous experience includes serving as the Program Manager of Michigan’s Habitat for Humanity AmeriCorps Program, an AmeriCorps State member at Grand Rapids Community Foundation and 6 years working in various capacities with youth grant makers in Michigan and across the nation. Breannah currently lives in Grand Rapids, Michigan working as a Program Administrator with Partners for a Racism-Free Community. She is also Co-Chair of the Young Nonprofit Professionals Network Grand Rapids board and a Leader with Opportunity Nation, a national campaign to increase economic mobility for young people in the United States. Breannah was previously a Commissioner on the Michigan Community Service Commission, board member of the Grand Rapids based Partners for a Racism Free Community and the Michigan LEAGUE board. Breannah studied Criminal Justice and Public Administration at Grand Valley State University.